In the market at Kadawa maize ordinarily sells for about 40 Kenya Shillings (KES) for a 2 kg tin. Because of the drought the cost has skyrocketed to about 120 KES per tin. Many cannot afford to buy it, and they are at the end of their last harvest of food that they would have planted on their own patch. 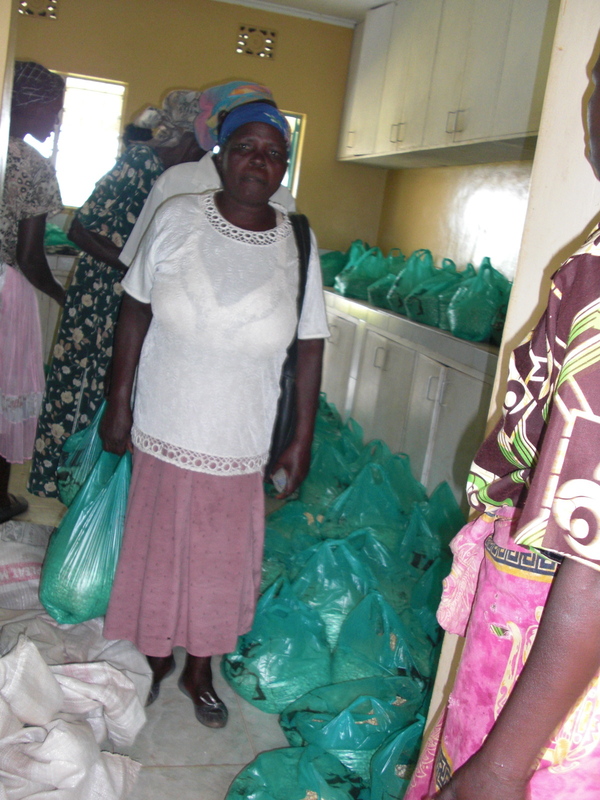 Thanks to the generosity of many people, recently we were able to buy several large (80 kg/176 lbs) sacks of maize to distribute to some of the poor and destitute in the village of Kadawa. 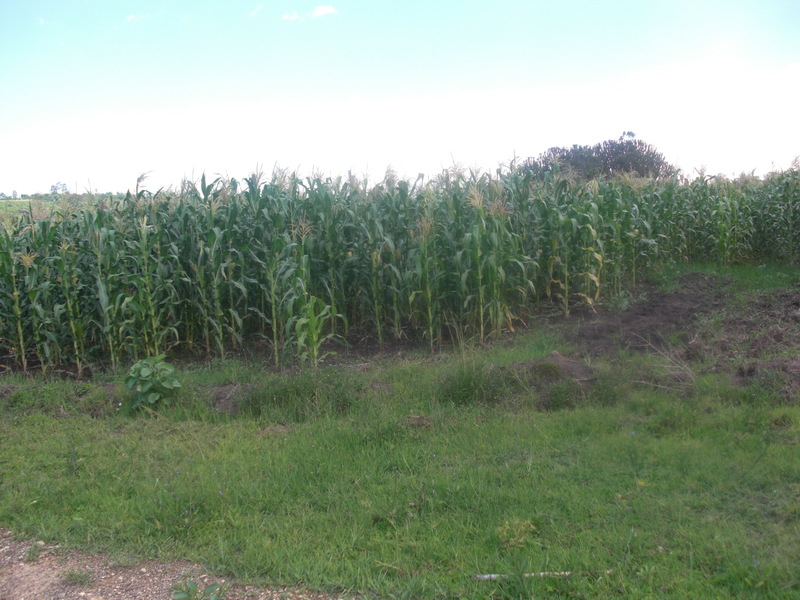 The distribution wasn't announced ahead of time and after church on that Sunday the persons who were selected were called back to another room in the church, where they were given the maize. Such surprise!!! Violet received messages and calls for many days afterward thanking everyone for the food. In all, 300 families were helped with either 6 or 10 kg parcels (13 or 22 lbs). Some folks hadn't eaten for 1 or 2 days and the food was most welcome. The day it was distributed the people called it Miracle Sunday. The next harvest will soon be in (late July or early August). One lady left after receiving her maize, but came back and stood in front of the group and prayed aloud for the people who sent the food to her and the others. 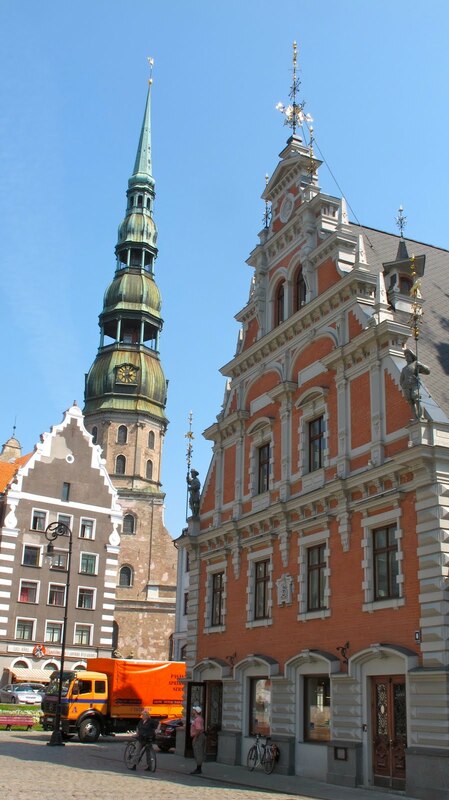 Latvia, Estonia, and Lithuania are known as "The Baltic States". Their Western borders are on the Baltic Sea. Being very high in the Northern latitudes they are very cold in the winter and have a short growing season. In June it is still light out at 11:15 PM and the sun is up at about 3 AM. Conversely, winter is very dark for a very long time each day. 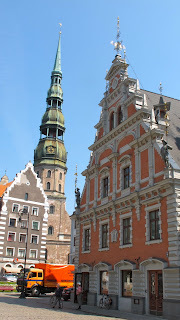 We went to Latvia on June 28 to join our friends Carl and Elizabeth Harper who are from Lancaster PA. We spent a week with them going through Latvia and into Estonia. As our team leaders, they were taking us to various YWAM (Youth With a Mission) projects and ministries with whom they are acquainted. We are so excited to report that there are many new, creative and cutting-edge ministries ongoing and developing. We had the privilege of praying for and ministering to them. Notable amongst them in Latvia was a young woman in her early thirties named Tatyana (Tanya). She has started the Karosta Children's Day Centre. Karosta is the most underprivileged area in the vicinity of Riga, the capital, and largest city of Latvia. The children are from broken homes, abusive situations - physical, mental, emotional and sexual - homes where alcoholism and drug abuse is rampant. The centre is in an old barracks on a former Russian naval base. She also has a children's club there, and the children are also taught and ministered to by a Russian pastor whose church is in the building where the children's centre is. She feeds them one meal every day. She has several volunteers working for her and now has 4 paid staff. Her vision is to build a boarding school for these deprived children. Her background is the same as these youngsters. Her father was an alcoholic; she was abused physically and emotionally, she was raped twice. She had a baby and married at sixteen; her husband continued the abuse. She heard the gospel and accepted Christ as her personal saviour and deliverer. Eventually she realized that she wanted to and could receive her education, and now has a degree in psychology. She is a woman of faith and vision. She knows that the Lord has called her to this ministry and she is passionate and strongly determined. Being with her and hearing her vision as well as her personal testimony we are convinced that she will see her vision come to pass and it will spread to other areas of the nation. Tanya's daughter wanted to play the violin. Tanya was determined that her child would go to music school and learn. She took her by the hand, went to the music school and told them that her daughter must learn to play the violin. The school took her and the child showed great talent. However after awhile the school told her that they could no longer teach her because she needed a larger violin. Tanya knew that this child was to continue her music education. She took the girl to play her violin in the street. Her talent attracted a passing journalist, who, after hearing her story, took her photo and put it online with her story. One day, a Jewish man in Germany happened across the article and photo and he was so moved by it that he sent money for a new violin. 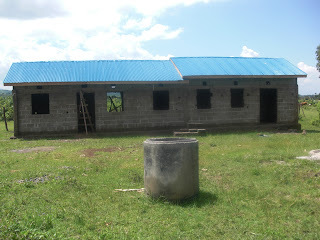 The girl was able to return to school and continue her education. God is amazing! - The largest unreached people group. There are no public facilities in Latvia for handicapped persons; i.e. no handicapped accessible public transportation, entries into building, bathrooms, and many places that have more than one story have no lifts (elevators). Often these individuals stay home and do not go anywhere or do any socializing. For some of the ones in camp it is the only time they venture outside all year. 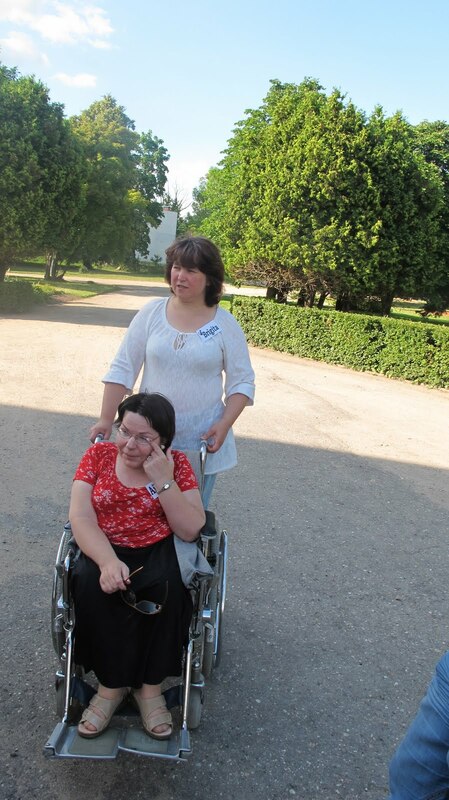 Evelyn and Kaspars' vision is to have a centre in Rigal where the disabled can be brought and receive help. Based on their passion, commitment and the favour of God on their ministry it is a certainty to see their vision fulfilled. Now we introduce you to Marillo - a Brazilian who also spent much of his teen years in the USA. He is a member of the YWAM leadership team in Estonia. One day in prayer, when in YWAM training for ministry, he had a vision. In that vision he saw many, many white people and he heard the Lord say to him that He was calling him to Estonia, Latvia and Lithuania. He had no idea what or where these places were - if they were the names of towns, or what they might be. He deduced that since the people were white it might be somewhere in Europe. However, he was certain that the Lord was calling him. Shortly afterward he was in a morning worship service at the YWAM training centre, when the leader stopped and pointed Marillo out saying that he had a word from the Lord for him. He said "Marillo, you are called to Estonia, Latvia and Lithuania. This leader had no idea of the earlier vision that Marillo had seen. Marillo had just arrived shortly before we met him and was super-excited to learn Estonian immediately!!! We return to Kenya on the 26th of July. We will stay in Nairobi for 3 days to have meetings with various people and businessmen. Then off to Kadawa. The rains came and forestalled the completion of the caretaker's house/barn due to inaccessibility (no vehicles could get to it because of the mud and soft ground) but the rains have stopped and work can resume. Marty is excited to see to the plastering and painting, etc. 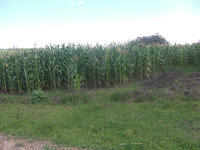 The corn crop on the Widows Farm has done very well. There are trenches dug around the perimeter and also a large one across the middle of the field. The purpose of them is two-fold: 1. To catch rainwater which then can seep under the crops by osmosis, thus supplying moisture; 2. To keep the top soil from washing away. 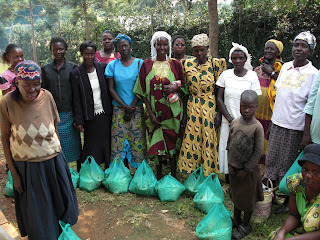 In addition we feel that the Lord has especially blessed this crop so as to have an increased provision for the widows. You can see the photo of one of the ears of maize and it looks really healthy. 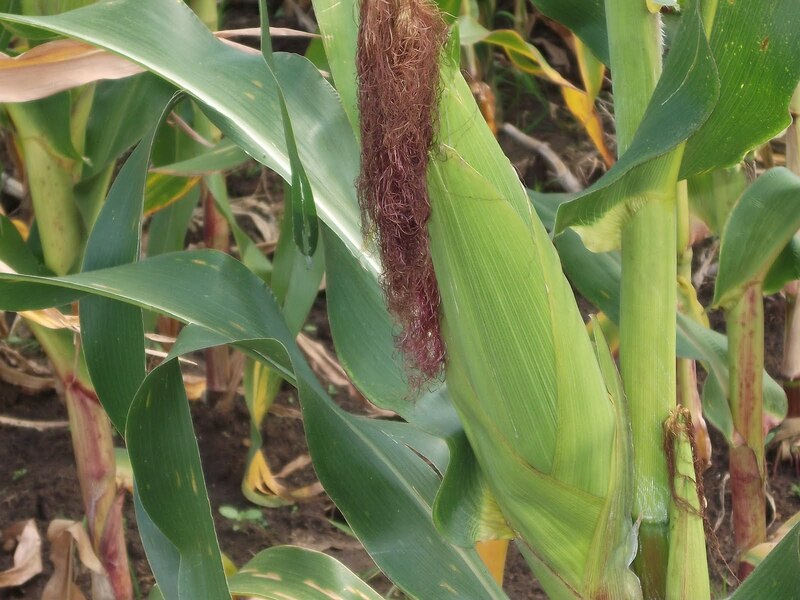 The maize is left on the stalk until it dries (about 99% dry). That will be the end of July or early August. Then it will be harvested by hand and the husks removed, the kernels removed and spread out to dry and then stored in 80 - 90 kg sacks until needed for distribution. We will be having another eye clinic while there and have a nurse coming along with us, with her daughter to help at the clinic. Jeremy and his daughter Kirsty will be coming in September to further minister to the villagers and make other plans for the future. Blessings and Much Love to you all!! !